pollinator garden. The habitat is home to more than 500 plants and 35 different varieties that attract insects to the farm. 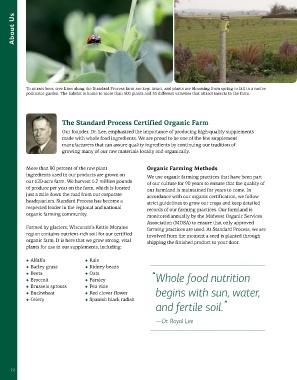 growing many of our raw materials locally and organically. organic farm. It is here that we grow strong, vital   shipping the finished product to your door.